We congratulate Nexus/Metro on their decision to run an operational trial for full-sized cycles on Metro trains. This means for the first time in their 40 year history, cycles will be allowed on carriages. We understand it is a limited trial, limited by time of the day, number of cycles per carriage, on a short stretch of the Metro network, and that the time period is six months, or so. We know from other cities round the world, that taking cycles on light rails systems is entirely possible. The trial here is simply testing the nitty-gritty operability, practicalities and process. Metro/Nexus assured us at a meeting last year, the trial is run to learn from it. We are looking forward to hearing about the lessons learnt and offer our help in ironing out any hiccups. The trial is a significant step forward from Nexus/Metro’s previous position. This trial is the result of many interest groups working tirelessly together to make this happen. And we hugely thank our partnering organisations. It’s good to see this effort paying off and fantastic that Nexus/Metro have been listening. We say “Onwards!” The matter of real importance now is to think longer term and creating a real integrated transport system in Tyne and Wear. Nexus/Metro have just refurbished the carriages and created storage space that can be used more flexibly (including cycles for the trial period), but a complete carriage replacement is planned for 2020. We ask Nexus/Metro to keep working closely with groups, to ensure the technical specification is matching Tyne and Wear vision of competiveness, inclusiveness and integration. The final carriage design must be kept flexible and adjustable, so that changes in travel behaviour can be easily be accommodated by re-jigging the carriage layout. From the start, it must include space for cycle storage to offer an integrated service. 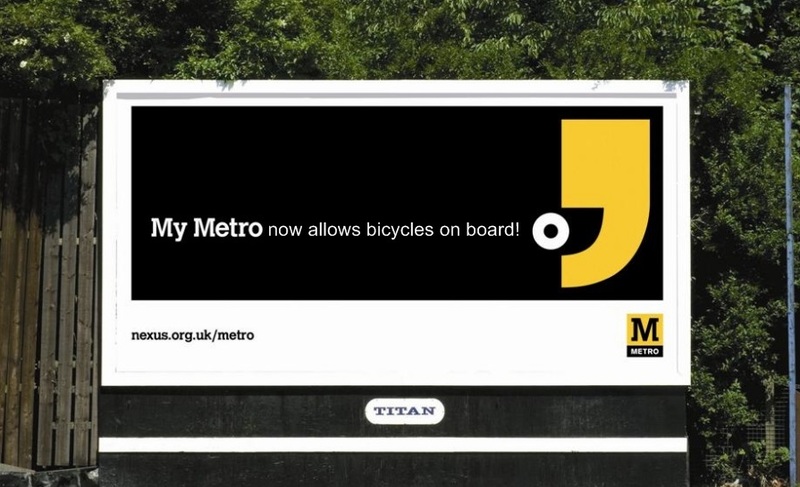 If Nexus/Metro would care to join us in calling for a 1st class quality cycle network in Tyne and Wear, perhaps to and from Metro stations, that would be much appreciated too.